Aw! Reminds me of my chocolate lab, Mabel! She used to always wallow in mud puddles at the end (or beginning) of a good session of fetch at the park. Stinker. Well, aren’t you just the beauty! 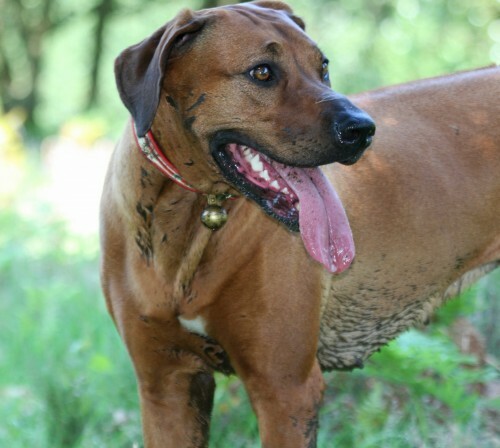 See you’ve got yourself all wet and muddy – good for you. I assume you had a great time getting that way. Lookin good! I love the mud. It MIGHT rain here tonight. I sure hope so. The floors here are way too clean. You is beOOtiful! Happy Wednesday! 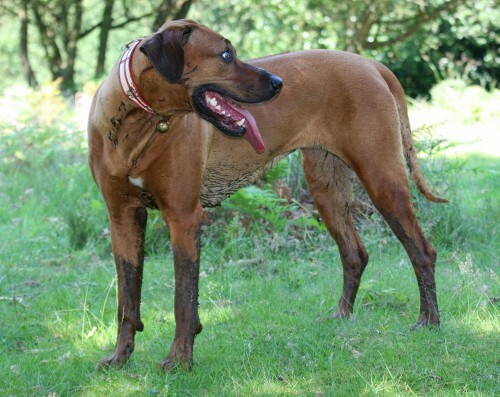 Can I post your Blog at The Rhodesian Ridgeback Community at vorts? We are just getting started and could use the help. Is anything better than a good run in the mud? Hard to find anything better than that! Now you need to go swimming.